Formula 1 bosses have approved the new set of rules intended to reduce the cost of engines and ensuring their performance converges up till 2020. 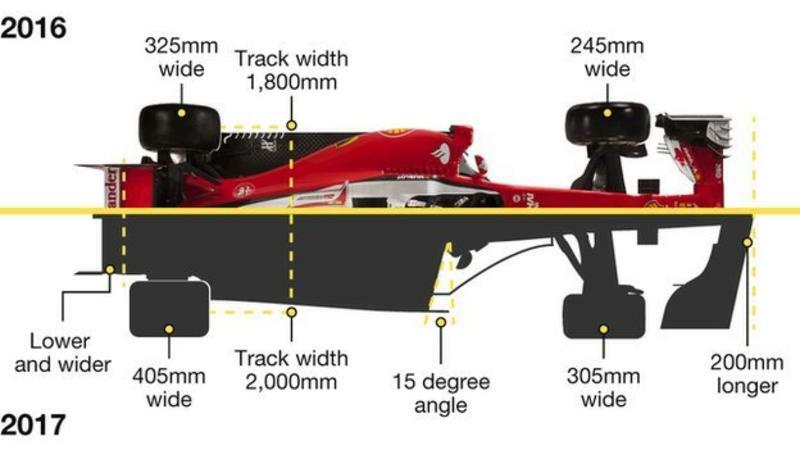 Following the seven days dead line F1 is ready to introduce the new rules for making F1 cars to look more aggressive, wider, heavier and will run on fatter tyres. In the month of May last year, the FIA announced the Strategy Group had agreed on the need to make F1 more spectacular from 2017. The move follows months of talks in the wake of concerns about the expense, complexity and sound of the hybrid engines, and Mercedes’ dominance of F1. After working for nearly a year the new rules for F1 regarding faster, more dynamic cars are ready and will reduce the Costs for customer teams by €1m in 2017 and a further €3m in 2018. The progressions that will guarantee the convergence of performance across the four suppliers incorporate the removal of restrictions on development and constraints on the weights, dimensions and materials of various parts of the engines. In addition to that restrictions on turbo-boost pressure will be introduced in 2017 and 2018. To further ensure cost reduction for customer teams, who have complained the engines are too expensive, the number of engines a driver can use each season will be progressively reduced over the next two years. The four manufacturers have also agreed on a package of measures aimed at bringing engines’ performance closer together. Governing body the FIA has agreed to guarantee the stability of the regulations until 2020 and to maintain the existing governance structure of F1. This removes the threat made last October by FIA president Jean Todt and F1 commercial boss Bernie Ecclestone to introduce a cheaper alternative engine to run alongside the turbo hybrids under an equivalency formula.